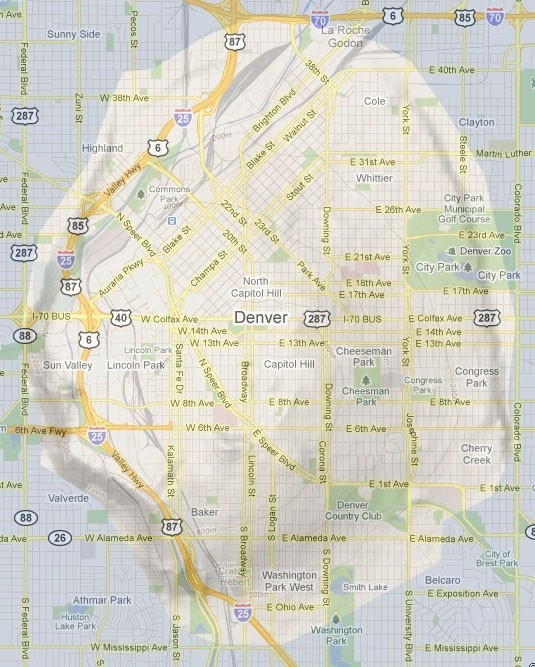 What is on the opposite side of the world from Colorado? First, let's quickly define the word antipode*. Picture a globe that rotates on an axis. Imagine this axis is a long rod that enters the globe at the North Pole. Now: where does the rod emerge on the other side of the globe? The South Pole, correct? That's an illustration of an antipode: it's the point on the exact opposite side of the globe. So we can say that the antipode of the North Pole is the South Pole. Likewise, the South Pole's antipode is the North Pole. *My understanding is that the singular "antipode" is pronounced AN-ti-pode, but the plural "antipodes" is pronounced "an-TIP-uh-deez". Of course, one can determine the antipode of any location on the globe (not just the poles). And the concept of antipodes can be applied not only to globes, but also to an actual planet. Wherever you happen to be right now, imagine if you could dig a hole straight down, all the way through the center of the Earth, and come back out the opposite side. Where would you emerge? It seems to me that those of us in the United States commonly believe the answer is "China". (I don't know why - maybe it has something to do with certain books we read as children.) But the truth is, if you live in the US, you wouldn't come out anywhere near China. Drilling down from just about any location in the continental US, you'd actually come out in the South Indian Ocean, somewhere between Africa and Australia. ​But there are three exceptions... that is, three tiny areas in the continental US whose antipodes are not in the ocean, but rather on dry land. From a small area of north-central Montana, you would emerge on Kerguelen Island. However, the majority of Kerguelen corresponds to an area across the Canadian border (mostly southeast Alberta, and partially southwest Saskatchewan). There are only two land masses whose antipodes fall entirely within the continental US: Amsterdam Island and St. Paul Island. 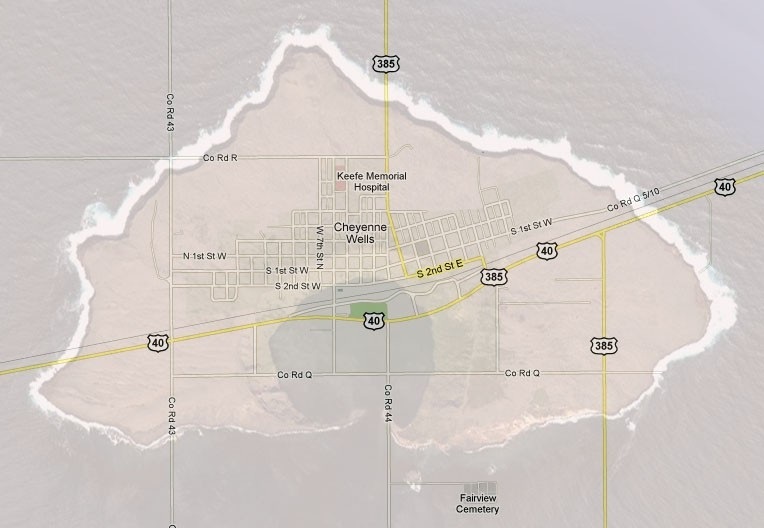 In fact, the antipodes for both of these islands fall entirely within southeastern Colorado. Except for those dual-image illustrations, all other maps and aerial photos on this page are "live", embedded Google maps, so you can click-and-drag to pan; double-click to zoom in; change the view mode in the upper right; etc. If you zoom in, those maps can give a pretty good idea of the two-dimensional "footprint" of the islands, superimposed on their antipodal locations... but they don't take into consideration the third dimension: elevation. 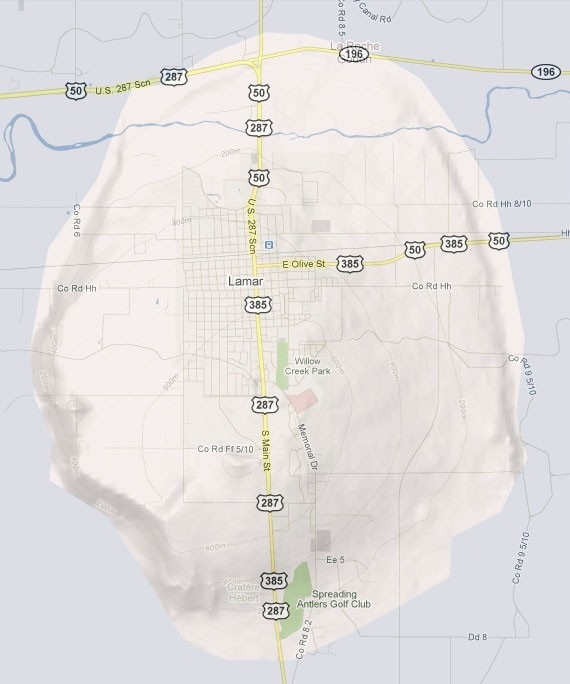 Initially I was thinking: if you were to plop Amsterdam Island on top of its antipodal footprint in southeastern Colorado, it would be pretty impressive to see a mountain rising 2800 feet above the plains outside Lamar. 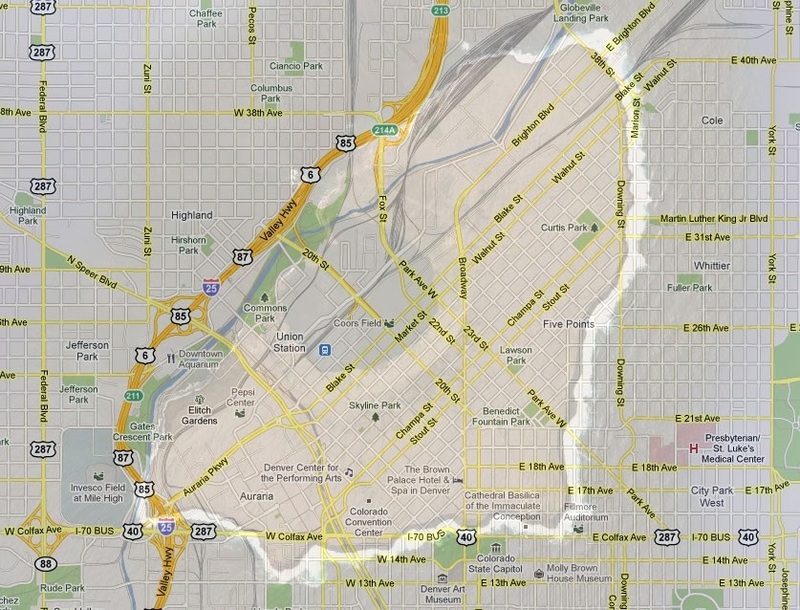 But then, when I considered that this part of southeast Colorado is not at sea level, but rather about 4100 feet above, I realized that a geographically-accurate representation of the antipodal Amsterdam would actually be buried deep beneath the prairie. Standing at an observation point on the ground in Prowers County would be the same as flying 1300 feet above the summit of Mont de la Dives! It is interesting to consider that Amsterdam and St. Paul are surrounded by water, 800 miles away from the nearest land... while their antipodal area in southeastern Colorado could hardly be more of a contrast: deep in the arid interior of the North American continent, almost 800 miles away from the nearest ocean.